Join Our Lady of the Lake University Men’s Soccer ID Camp. It will be on December 16 at the Our Lady of the Lake University campus. This camp is ideal for male soccer players who are serious about joining the university’s men’s soccer team. The camp aims for a total player improvement from the technical aspect to the tactical aspect of the game. It also provides competitive training environment through 11v11 and 5v5 games. In addition, goalkeepers will have their special skills specific sessions. Moreover, the program will have a stimulating and challenging atmosphere. Leading Our Lady of the Lake University’s men’s soccer team is head coach Shane Hurley. He is now in his 11th season as the Saints head coach. Coach Shane Hurley is the 2016 conference coach of the year awardee. Under his leadership, the Saints men’s soccer program has already conference regular season and tournament championships. Then, the team’s assistant coaches are Arthur Salazar, Marcelo Chapa, and Zachery Brewer. Finally, Jared Poling is the graduate assistant coach. 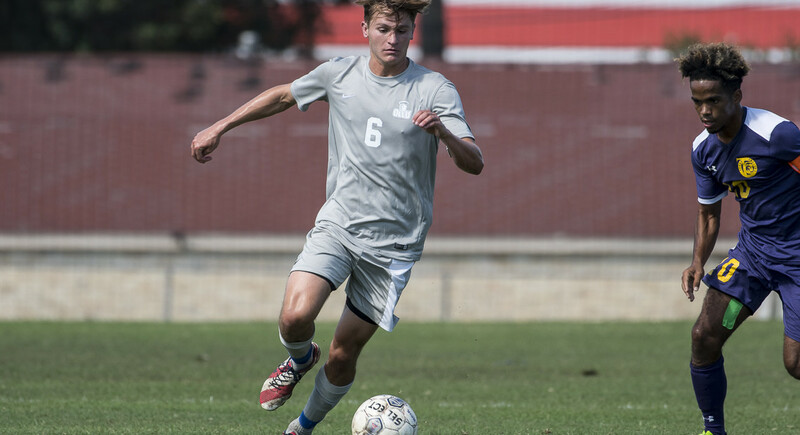 The Our Lady of the Lake University Men's Soccer ID Camp aims for a total player improvement from the technical to the tactical aspect of the game.